Hon. Abraham Kofi Asante recently caused a stir at the ECOWAS Parliament in Abuja, Nigeria, when he allegedly refused to vacate a seat for the rightful occupant. It all happened when Hon. Stephen Kwaku Balado Manu, NPP MP for Ahafo North South constituency, arrived to take his seat only to realise that Hon. Kofi Asante was warming himself comfortably in the seat. According to Unimpeachable sources, all attempts made by Hon Manu to persuade him to reason with him fell on deaf ears until he was pressurized to vacate the seat thus causing a lot of embarrassment to Hon. Balado Manu. 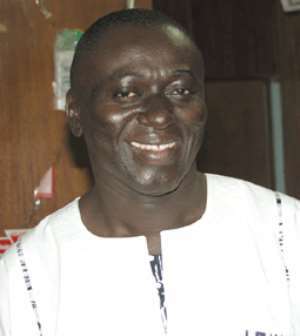 It is on record that on March 26, 2003 Abraham Kofi Asante wrote to the Speaker, Rt. Hon. Peter Ala Adjetey that he had voluntarily resigned from office as Member of Parliament for Amenfi West Constituency due to personal reasons. And by his resignation, he ceased to be a member of the Ghana team to ECOWAS Parliament. By Article 7 (i) (ii), the current ECOWAS Parliament is composed of elected Members of Parliament of the various National Assemblies of Member States. More importantly, by Article 7 of the Protocol of ECOWAS Parliament as regards the terms of office, representatives who are not re-elected to the national level shall remain in office until the new Representatives from the respective Member States take up their positions. This means that Representatives of Ghana already sworn-in must remain in their positions in the ECOWAS Parliament as long as they remain members of the Ghanaians Parliament and that they only cease to be members of the ECOWAS Parliament when they lose their seas in the Ghana Parliament or resign on their own volition. By the provisions of the Protocol of ECOWAS Parliament, Hon. Abraham Kofi Asante, having voluntarily resigned his membership of the Ghana Parliament automatically ceases to be a bona fide member of the ECOWAS Parliament. Political observers and social commentators the National Democrat talked to, to air their views on the issue were of the opinion that since the Provisions of the Protocol disqualified him from being a Member of the ECOWAS Parliament, his continuous stay in the ECOWAS Parliament is illegal. They were, however, of the opinion that the Speaker of the ECOWAS Parliament should be informed about the latest developments on the issue so that another person would be nominated to take his place. Meanwhile, after one year that Hon. Kofi Asante voluntarily resigned from his job he still continues to draw his salary and is always the first to do so even before the real people get there.